Waxing Is a form of semi permanent hair removal which removes the hair from the root. New hair will not grow back in waxed area for 4-6 weeks. Almost any area of the body can be waxed, eyebrows, face, bikini, legs, arms, back, abdomen. 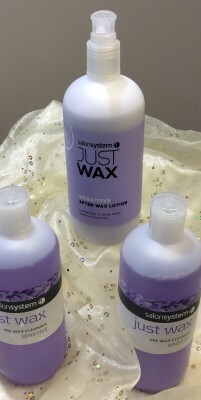 A thin layer of wax is applied to the area, a fabric strip is applied to the wax then all is pulled off quickly thus removing wax and excess hair. Electrolysis hair removal is the only method approved by the FDA for permanent hair removal.It does require multiple sessions to achieve the best possible results, but permanent hair removal isn’t 100% guaranteed for everyone. An electric currant is applied with a very fine probe/needle into each hair follicle to destroy the root. Bleaches dark embarrassing hair on upper lip so making it less noticeable.